Looking for a little inspiration for your next dinner party? Let Pippa Middleton lead the way. Yes, Kate Middleton’s little sister has scored a deal with Waitrose Kitchen magazine to be their latest columnist. 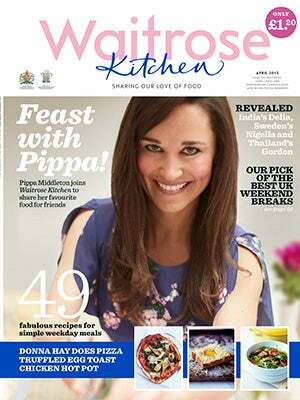 Pippa describes her column, Friday Night Feasts, as “an exciting opportunity to show my passion and enthusiasm for food and entertaining.” Oh, and she’s also the magazine’s April cover girl. Her family does know a thing or two about parties, since her parents run a party planning business and all, but we wonder what Pippa will bring to this rather oversaturated market. Her book on the subject, Celebrate: A Year of British Festivities For Families and Friends, wasn’t a runaway success, so a lot of people are probably a bit skeptical. But still, the next time we are rushing around the supermarket on a Friday night, ahead of a next dinner party rendezvous, we may well look to Ms. Middleton for advice.